A first-of-its-kind play space for Auckland, based on traditional Māori games and play artefacts has just opened. Te Mara Hupara playground is part of the Te Auaunga, an Auckland Council Healthy Waters project in Mount Roskill, Auckland. Landscape architect Mark Lewis of Boffa Miskell worked closely with Auckland Council and the project team to create a natural play space that offers children a unique and imaginative experience, while also reinforcing the wider values of Te Auaunga (Oakley Creek) project to restore the wairua of the adjacent Walmsley and Underwood Reserves. There are four schools and several early childhood centres in the area; and community surveys showed a strong desire for dedicated play areas. Play wasn’t actually part of the original brief. Lewis says that after interactive workshops with local school children and Brown, it became apparent that a ngā aro tākaro playground was an ideal fit with the restoration of Te Auaunga Awa. In Māori society, traditional games and aro-tākaro (play items) are inextricably linked and highly valued. Ngā aro-tākaro reinforce social norms and connect people to their environments. They become a means for children to engage with nature and history simultaneously through challenge and learning. 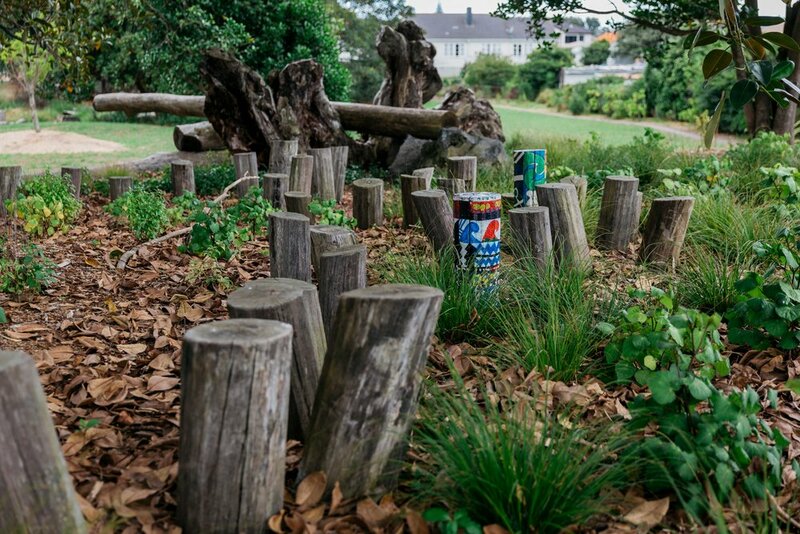 “By integrating traditional play elements into this project, we are encouraging our mokopuna to re-engage with the restored natural environment and thereby to reawaken their sense of history and place,” Lewis says.